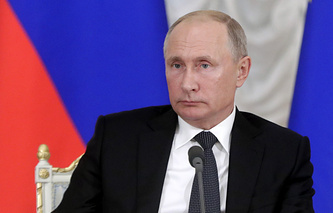 Russian Federation Council member Viktor Bondarev said that "the only way to peacefully resolve the situation is for the parties to hold talks on equal footing"
MOSCOW, December 5. /TASS/. Russia will have to make sure that its air defense systems provide protection for all places and facilities that may become targets for US attacks if Washington pulls out of the Intermediate-Range Nuclear Forces Treaty (INF Treaty), Russian Federation Council (upper house of parliament) Defense and Security Committee Chairman Viktor Bondarev told TASS on Wednesday. "If Americans withdraw from the Treaty, we will have to cover all the places that may become potential targets for US attacks," he said. "It will inevitably affect Europe and China," Bondarev added. 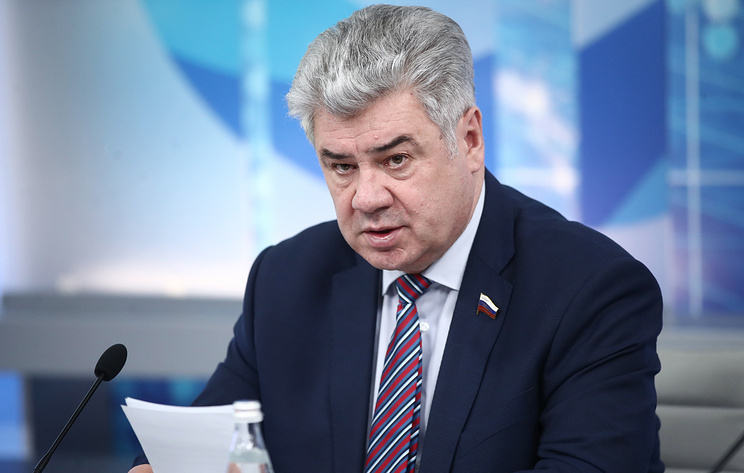 The senior Russian senator stressed that he called for maintaining the INF Treaty but in case it was terminated, Russia would have to respond. "We will have to take a number of measures, particularly deploying unique weapons, which will surely raise the risk of a large-scale global conflict," he warned, adding that Germany and China did not support Washington’s decision to withdraw from the INF Treaty. Bondarev also noted that although the United States had protested against the deployment of the Iskander ballistic missile systems in the Kaliningrad region, "they [the US] deployed the MK-41 launching systems, capable of launching the Tomahawk subsonic cruise missile, in Romania and Poland." He added that the Iskander systems’ range was 480 kilometers, which means that the INF Treaty did not apply to them. The senator stressed that the INF Treaty was not the first arms control agreement violated by the United States. In this regard, he mentioned the Treaty on Open Skies, the Treaty on the Non-Proliferation of Nuclear Weapons, the Chemical Weapons Convention and the Iran nuclear deal. "We, however, are committed to all our international obligations and strictly abide by the documents we signed, which include the INF Treaty and the New START [Strategic Arms Reducation Treaty]," Bondarev pointed out. According to him, the US "is upgrading its tactical nuclear weapons in Europe and Asia, including the development of advanced means of delivery." "The only way to peacefully resolve the situation is for the parties to hold talks on equal footing and for the US to start abiding by international agreements," the senator concluded. 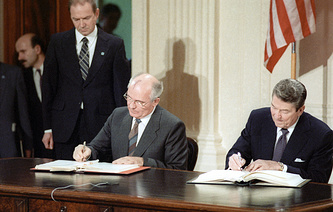 The INF Treaty was concluded on December 8, 1987, and took effect on June 1, 1988. It applies to deployed and non-deployed ground-based missiles of intermediate range (1,000-5,000 kilometers) and shorter range (500-1,000 kilometers). In the recent years, Washington has been repeatedly accusing Russia of violating the treaty. Moscow strongly dismissed the accusations and voiced its own claims concerning Washington’s non-compliance. US Secretary of State Michael Pompeo said on December 4 following the NATO Foreign Ministers' meeting that Washington would suspend its obligations under the Treaty unless Moscow returned to "full and verifiable" compliance within 60 days. On December 5, Russian President Vladimir Putin told reporters that Pompeo was late with such a statement. "At first, the US said it planned to withdraw from the INF Treaty and later they started searching for reasons why they should do it," he noted. "What will our response be? A simple one: we will do the same," Putin added.